David Stewart, malt master at The Balvenie, has been awarded an MBE for services to the Scotch whisky industry. 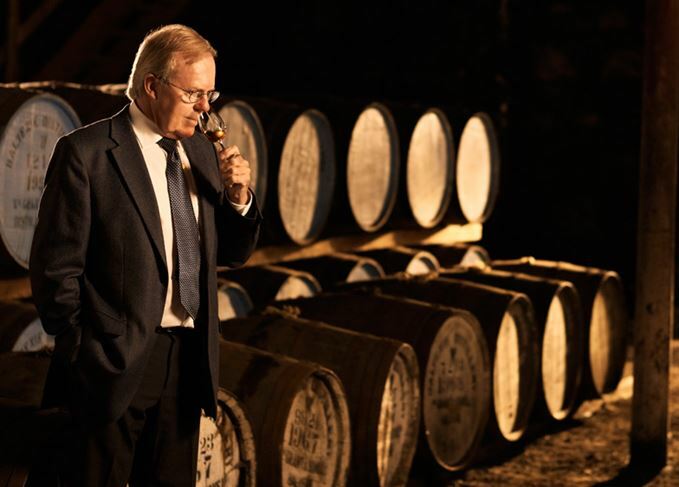 David Stewart has dedicated almost 54 years of his life to the Scotch whisky industry. Stewart, who has worked with Balvenie owner William Grant & Sons for 53 years, was the only Scotch whisky industry representative to be named in the 2016 New Year’s Honours list. Having started work at the Balvenie distillery in 1962 at the age of 17, Stewart went on to develop a number of award-winning whiskies under the Balvenie, Glenfiddich and Grant’s brands, as well as working on the launch of Monkey Shoulder. His most widely-recognised contribution to the whisky industry is the development of double cask maturation in the 1980s – a process that was relatively unheard of at the time. The Balvenie Doublewood 12 Year Old was the first Scotch release to actively market its second maturation, or finishing, in Sherry casks. In more recent years, Stewart has been recognised with industry awards including the Grand Prix of Gastronomy by the British Academy of Gastronomes, and lifetime achievement awards from the International Wine & Spirit Competition and Malt Advocate magazine. He has also been named as an Icon of Whisky and a Master of the Quaich. Stewart, who will turn 71 in February, recently released Chapter One of the Balvenie DCS Compendium, a collection of 25 whiskies released over five years that pay tribute to the distillery and his career. Stewart said: 'I am truly honoured to receive this award. When I started my career as a whisky stocks clerk in 1962 I didn’t expect to become a malt master so when I first found out about the MBE it came as a massive shock. The hardest part has been keeping it quiet even from my own family.